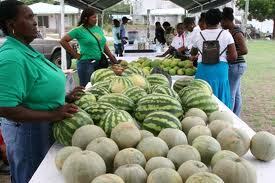 Charlestown, Nevis–(Monday, June 20th, 2011) “The recent performance of the Agricultural sector in Nevis has been revolutionary,” said the Minister of Agriculture, the Hon. 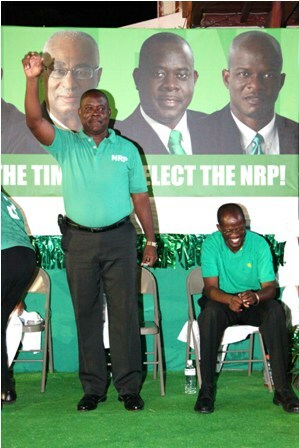 Robelto Hector before a crowd of over one thousand people who came out to support the Nevis Reformation Party (NRP) at their meeting on Saturday night in front of the Charlestown NRP Headquarters. “Nevis is blessed with enough fertile land with which to feed ourselves, improve our own food security, strengthen our tourism sector with high quality local produce, and at the same time curtail the flow of foreign exchange that drains out of this country each month for the importation of agricultural goods that can be readily grown here,” said Mr. Hector. The Agriculture Minister also discussed the Agro-processing plant, which has been receiving a lot of use with the making of candies, jams, drinks, wines and other uses from fruits including, star apples, mangoes, guavas, tamarind and other local vegetation. Before Mr. Hector concluded, he thanked the Permanent Secretary of Agriculture- Dr. Kelvin Daley and Officers in the Agriculture Department, Mr. Gary Griffin, Mr. Keithly Amory and others, who Minister Hector said have taken on numerous tasks to bring a boost to the Agriculture Department on Nevis.